Check your product before every use. The serial number on your product is important for the follow-up or guarantee. Never restore the product yourself. In this case the warranty expires. Always read all instructions and take care of the product, avoiding caustic products. Never exceed the maximum permitted mass of the vehicle. Never exceed the maximum permissible roof load prescribed by the vehicle manufacturer. 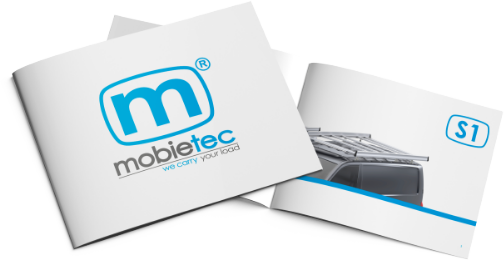 mobietec® gives the user a 2-year warranty on the products produced by mobietec®. The warranty period starts on the purchase date stated on the purchase invoice. All parts that may be replaced in warranty remain under warranty for the remaining duration of the product warranty period. The guarantee follows the product when it changes owner. The new owner must be in possession of this document to prove the warranty. The warranty remains valid for defects reported in the warranty period for a maximum of 2 months after the expiry of the warranty period. If the owner does not report this immediately to the distributor or manufacturer immediately after the defect has been established (within 5 days or before the next use of the product), this defect as well as the consequential damage is excluded from the warranty. When the product has not been treated correctly. When the product is not assembled in accordance with the regulations. If the product is not mounted on the vehicle for which it is intended. If the products are overloaded when the maximum permissible load prescribed by the manufacturer of the vehicle on which the products are mounted has been exceeded. When the product is used on a vehicle that participates in a race. When accessories are mounted on the product that were not approved by mobietec. Damage resulting from mechanical or chemical influences. If the product is not used for what it is for (improper use). mobietec® is never liable for material and / or immaterial damage caused by / with products from mobietec®, nor for any other form of direct or indirect damage, consequential loss or trading loss.